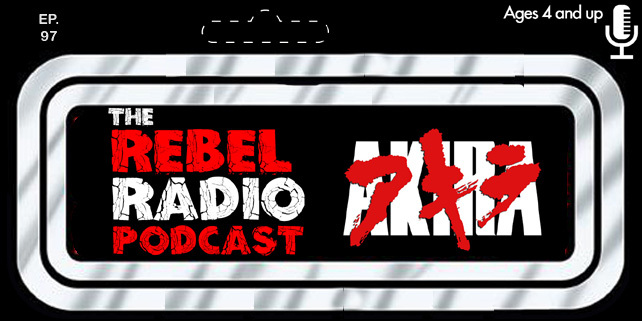 The Rebel Radio Crew is back in studio bringing you an episode full of laughter, sadness, adorability (yes it's a word), and more! We start the show with some back stroking going on as we discuss the week in Houston and the wrath of the floods we faced. We then talk about the passing of the legend that is Prince and our thoughts on his place in pop culture and what we remembered about him as the world mourns the lose of a great one. We turn those frowns upside down though as we let you hear Eddie Vedder of Pearl Jam and his daughter Harper cover the 1966 Batman theme song. It's so cute that you will be grinning from ear to ear after hearing it. It's time to get ready for Captain America: Civil War as in this first part of our preparation we take a look at Spider-Man on television and film and his long journey from the small screen, to the big screen, and now to the Marvel Cinematic Universe. We start from his first animated appearance all the way to his homecoming in the Captain America: Civil War. Did you know that Spider-Man almost appeared in a film fighting Doc Ock for the Fifth Force? Yeah we don't know what that was either but it almost happened! All this in a brand new episode we hope you enjoy!